In my experience using Linked In for business since 2011, I have only had two or three people not accept my invitation to connect. I always personalize my invitations, because I won’t connect unless I have something of value to say to my targeted contact. This is a golden opportunity to connect with a targeted prospect without having to travel across the continent to hear this person speak. Yet! Let’s suppose you are a senior consultant and CEO of a cybersecurity firm where you created a human factors lab for the study of human behavior as it relates to exposure for companies when employees use their mobile devices at work to connect with customers. You have saved companies millions in avoided risk with your proprietary methodology. You have keynoted several cybersecurity conferences. You are now ready to serve a board with your expertise. You know how important this work is because of the havoc that security risks pose to the public. You have identified a handful of companies and their board chair to approach. Here is a simple script you can customize to reach out to Elon Mosk, the Chairman of the Board of Zontor Inc., a company that provides smart meter technology to the electricity industry. Note: You have 300 characters to work with unless you have an email address. If you have an email address for your prospect, you have 2000 characters to make your pitch. This particular script provides just enough information in 294 characters to pique the interest of Elon and gives Elon a reason to connect with JP. It is my experience that when you deliver a personalized message that has a thoughtful backstory, people will be flattered and will accept. Once Elon has accepted your invitation, close the loop by responding. 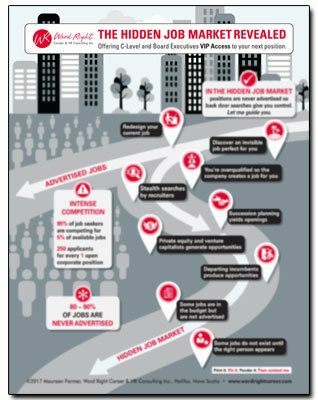 Using Linked In to connect with board nominating chairman or chairwoman can help clear a path to a potentially rewarding opportunity with a company that needs your expertise at the strategic board level, especially when you have international experience. In fact, the data are compelling. According to the World Stock Exchange, there are currently 44,850 stock exchanges worldwide representing more than 100,000 publicly traded companies. The primary risks in these businesses today, according to the World Economic Forum, is cybersecurity. Cybersecurity is trumped only by natural disasters and weather events. Linked In, as a vital component of your executive board portfolio, can optimize your visibility with your targeted audience safely and simply, and from the comfort of your office, home, or cottage.